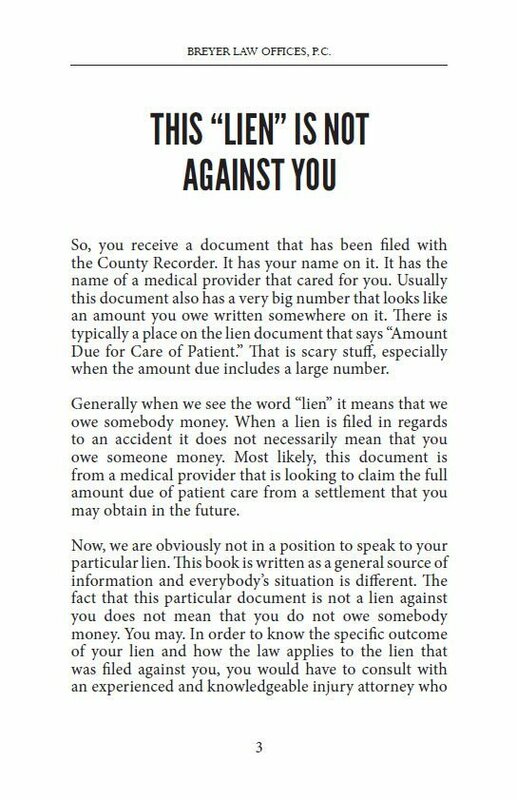 Generally when we see the word “lien,” it means that we owe somebody money. 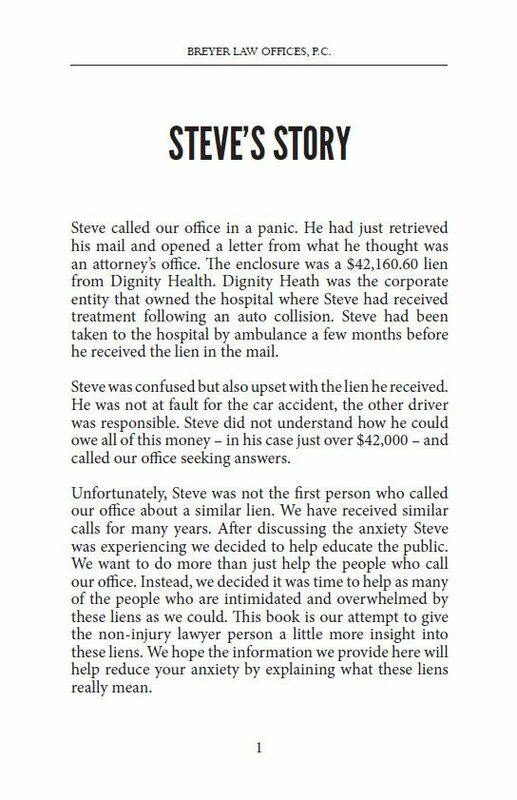 When a lien is filed in regards to an accident it does not necessarily mean that you owe someone money. 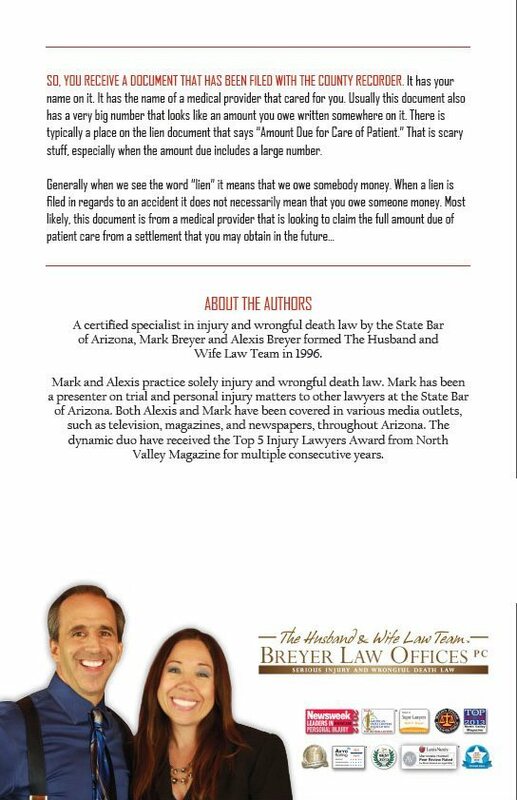 Most likely, this document is from a medical provider that is looking to claim the full amount due of patient care from a settlement that you may obtain in the future. 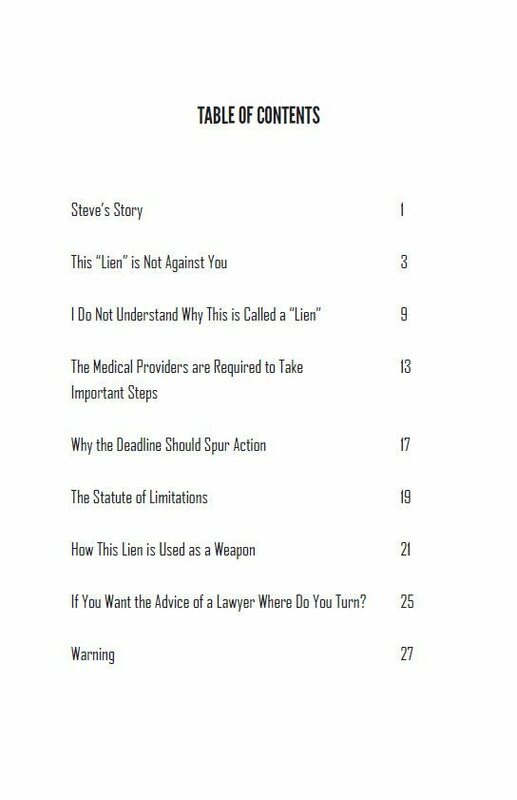 In this book, our Phoenix personal injury lawyers break down what you need to know to protect yourself after an accident.